I've never used scales before (to make coffee). I realise I should. I use a set of acaia lunar scales. They are compact in size and suit my method. - I do this because the lunar is small and my portafilter doesn’t quickly and easily sit on the lunar. 2. Make the coffee and weigh the fluid output in the cup. The acaia has a bunch of other features that I just don’t use at all, ever. I bought some cheap eBay jewellery ones initially but they were terrible. So I think you have the right approach to it, it’s just the fun bit of deciding which one you want. I use a v. similar method to spin_addict but haven't had much trouble using some cheap scales off ebay ('Salter' or copies thereof). Luck of the draw I guess. I do own some Hario scales designed for pourover as well, but just use them for the timer (yeh....I know I could buy a timer, BCBA). Been using a cheap set (less than $10) of electronic sales 200 gram max, 0.01 accuracy (Ebay) for many years, never had a problem. I only weigh dose, not shot. Yeh, I weigh the shot 'every now and then', largely when changing beans. Yep scales are a great idea, and it really doesn't add much time to the routine, if anything it subtracts frustration by getting more consistent results . But I would suggest getting a decent set of scales to be honest (at least $30+)... I recently found out that the scales I was using for a few years was being horribly inconsistent when weighing doses. I noticed one day that "Hmmm... why does it look lower in the basket when I've dosed the same amount...?" It was because it varied the amount each time. I suspected it was off, so I ordered new scales, used them side by side and confirmed it. Sometimes it was off by 0.4 grams, other times 1.8 grams! So a note to all, make sure your scales are consistent! Scale Accuracy - Weight your fav Tamper, then take it with you to the Fruit n Veg / Butcher shop and use their digital scales. Compare the weights. Unless of course if you have an Acaia which comes with 100g test weight. Or use some freshly minted coins as they are typically pretty precisely measured. 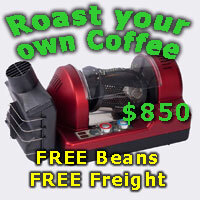 Plus you can use them in combinations that will very closely match the mass of beans you are using. Also be aware that while the scale may not be dead on accurate, if it's a halfway decent scale it should be consistently off by the same amount. Andy, artman, Dimal and 3 others like this. You mean the scale may not have accuracy but precision or repeatability. Last edited by Lootee; 16th January 2018 at 08:34 AM. That's the thing, mine was accurate when weighing the portafilter, then I would tare it, but subsequent dosing amounts would vary, so it just wasn't even consistently off by a certain amount which was bizarre.. And they were actually a decent set strangely enough. It only really did that however with dosing into the portafilter basket, but when weighing the (liquid) shot afterwards it showed the same amount on both scales.. weird... I have a feeling it was the higher weight of the portafilter it had trouble taring with (portafilter weighed 501ish grams, where's the espresso cup was 100ish or so grams...). As JP says, "precision is nice" repeat-ability is important, the scale may be off, however as long as the error is consistent it presents no problem, we're weighing coffee not gems. Fortunately I have a gem scale complete with a set of carat/milligram weights, I check the coffee scale every now and again, pretty well spot on, never seems to vary. Many (Most?) of the scale models we're talking about have a 500g max limit so odds are you're right in that it's the mass of the portafilter that's your issue. I have a cheap ebay 5kg one. It was inconsistent, but this was because the battery cover was hanging down lower than the feet. So it was a bit wobbly. A bit taller feet and its better though. Id suggest a size that allows the pf to sit on it. My pf is 501g too...imagine that! I use a Brewista to weigh dose into PF and cup. I use some cheap Decor 70ml salad dressing tubs for the ground coffee as they fit a 58mm PF neatly. I like the Brewista as it is rechargeable, waterproof and has a few different timing modes to suit different brew methods. And it was heaps cheaper than the Acaia! Far better to use a scale that maxes out at around 10 - 20 times or less, of the specific weight you're trying to measure. That is, the weight of the coffee, say 25g for a big double or average triple, multiplied by 10 which comes to 250 - 500g. Most digital scales within that range will provide decent enough repeatability and consistency to use as a dosing or a shot density scale. When you add significantly more mass such as a Group Handle or a Latte Cup, for example, then the mass of the coffee is so small by comparison, that you would need extremely sensitive resolution (and expensive) scales in order to get reliable results. Most scales people are talking about are either toyish or mutton dressed as lamb like Acacia. There are things in the industry known as minimum weight, linearity, hysteresis, and eccentricity but you get what you pay for generally. I highly rec the brewista smart scale ii. 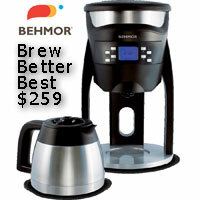 Rechargeable, timer, different modes for brewing, and compact. Also has a very quick weight refresh rate which definitely puts it over the top of the cheaper timer scales. When my 10 dollar scale karked it, I got the Brewista v2? on a %20 discount day. No complaints aside from fat finger syndrome when hitting the timer button. Agree with woodhouse. Here's something to make our younger members smile. In my early days of weighing doses I used (and still own) a gem balance very similar to the one below, a legacy of my previous life as an opal miner. Accuracy is spot on, with care precision is as good as, if not better than that obtained with a modern electronic scale, they are accurate down to 100th of a carat, that's 2 milligrams, breeze is of course the enemy of accuracy with these, no air conditioning whilst in use. One carat is equal to 200 milligrams, or 0.2 grams. One point is equal to 1/100th of a carat. So, it follows that one point equals 2 milligrams, or 0.002 grams. Its the weights from this set I use to check my electronic balance. ... that... is... so... COOL!!! A much more precise version of my grandfather's postal scales and weights that I used amuse myself with when going to work with him in the 70s. I second this, mine has been great. Lots of different modes depending how you want to measure your pour. I have mine to only start the timer when it detects the coffee fluid going in, which then triggers the weight and you can watch them side by side. Also has a nice rubber top part which is easy to clean and rugged. Rechargeable, although I've had mine for about 3months now and haven't had to charge it yet. I still use balance scales for dosing. Turns out that my test tubes weigh 33g, and I dose 17g of coffee so I only need a single 50g weight to balance! That's how I imagine someone would measure their coffee with that $280/kg beans Andy had.